National MCH Workforce Development Center. This project is supported by the Health Resources and Services Administration (HRSA) of the U.S. Department of Health and Human Services (HHS) under grant number UE7MC26282 National MCH Workforce Development Center Cooperative Agreement ($1,740,000). This information or content and conclusions are those of the author and should not be construed as the official position or policy of, nor should any endorsements be inferred by HRSA, HHS or the U.S. Government. 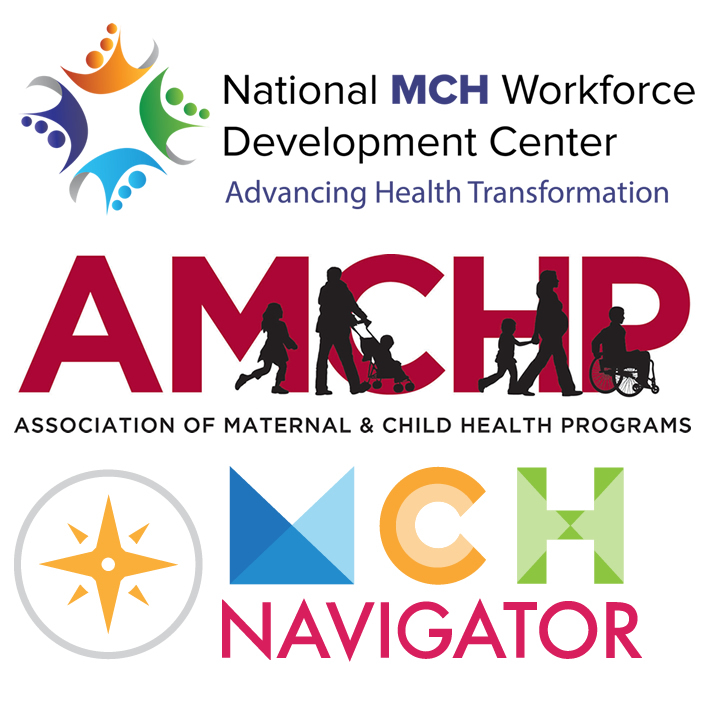 Association of MCH Programs (AMCHP). This project is supported by the Health Resources and Services Administration (HRSA) of the U.S. Department of Health and Human Services (HHS) under grant number U01MC00001 Partnership for State Title V MCH Leadership Community Cooperative Agreement ($1,738,864). This information or content and conclusions are those of the author and should not be construed as the official position or policy of, nor should any endorsements be inferred by HRSA, HHS or the U.S. Government. MCH Navigator. This project is supported by the Health Resources and Services Administration (HRSA) of the U.S. Department of Health and Human Services (HHS) under grant number UE8MC25742 MCH Navigator ($900,000). This information or content and conclusions are those of the author and should not be construed as the official position or policy of, nor should any endorsements be inferred by HRSA, HHS or the U.S. Government. 1 Division of State and Community Health. Title V Maternal and Child Health Services Block Grant to States Program: Guidance and Forms for the Title V Application/Annual Report (Appendix of Supporting Documents). (12/31/2020 expiration; 8th edition). Maternal and Child Health Bureau, Health Resources and Services Administration, U.S. Department of Health and Human Services. Rockville, MD. 2 Strobino D. MCH Needs Assessment: An Overview. (2006). Johns Hopkins Bloomberg School of Public Health. Baltimore, MD. 3 Children's Safety Network. Tips for Title V Directors: Integrating Injury and Violence Prevention into the MCH Needs Assessment, Selecting National Performance Measures, and Developing State Priorities and State Performance Measures for 2016-2020. (2014). Children's Safety Network. Waltam, MA.